Holistic Therapy works upon all levels of the person, physically, emotionally, mentally and spiritually to bring about a state of equilibrium. I use an integrated approach to encourage complete relaxation and a sense of natural enlightenment and well-being. Therefore, Crystal Therapy and Healing techniques are creatively included to balance and harmonise your true state of being. This traditional therapy has evolved in the West and supports the soothing of stress and tension in common areas that are subject to pain and discomfort. 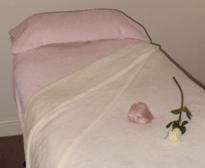 The upper back, shoulders, neck, face and scalp are all massaged, leaving you rejuvinated and in a state of calm clarity. Crystal Healing techniques are incorporated to help you feel grounded, balanced and bring about a fresher perspective and awareness. Incorporating the benefits of massage and aromatic essential oils, this gentle but deeply relaxing massage leaves you in an overall state of wellbeing. 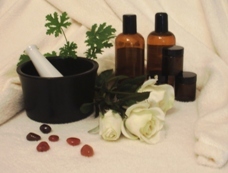 Pure essential oils are chosen for you at the time of therapy to support the overall balance of body, mind and soul. The Crystal Healing aspects also enhance your connection to you inner self and truth. Focusing on the face, neck & shoulders this lovely massage includes lymph drainage and acupressure techniques to refresh and revive. 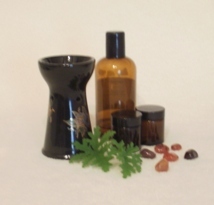 Pure essential oils are chosen to suit you on the day. And Crystals and Healing techniques bring about a state of blissful reflection. A slightly more invigorating massage to ease muscle tension and joint related aches and pains. Through the application of base oil, this classic massage promotes deep relaxation and self-healing within the body. Crystal energy techniques and healing are integrated for purposes of individual wellbeing. A massage designed to combat stress and promote relaxation in areas that are prone to discomfort, leaving you feeling revitalised and ready to face the world again. Hands-on healing techniques and Crystal Energy support your journey to a peaceful, more relaxed state. A lovely therapy in which the feet are gently massaged and accupressure techniques applied. There are numerous nerve endings on the feet which connect to all other areas of the body, so the feet are essentially a 'mini-map' for the rest of the body. Incorporated within this is the connection to lines of energy known as meridians on the soles of the feet. Working on these meridian 'zones' supports the body's own natural self healing mechanism, thus improving circulation flow, boosting immunity and balancing the hormonal system. Coupled with a Crystal energy balance, Reflexology creates a complete opportunity for revitalisation, calm and balance.